Following the conclusion of the partial federal government shutdown, which lasted more than a month, last week the U.S. Small Business Administration approved 116 loans for $40 million in the Garden State, it announced Tuesday. 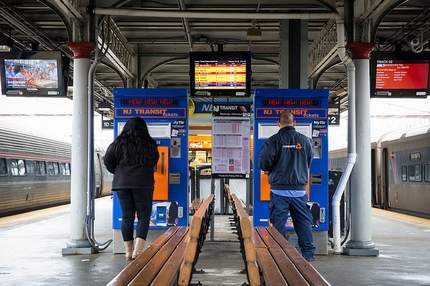 The breakdown of support, according to SBA New Jersey Director Al Titone, saw 69 established businesses receive support totaling $17.3 million, and 47 new businesses attained $22.5 million. output was nothing short of phenomenal,” Titione said in a press release. Loans were provided from 37 lenders, the SBA said, with TD Bank approving 33 loans for $1.5 million, Newtek Small Business Finance Inc. approving eight loans for $3.2 million, Peapack Gladstone Bank approving seven loans for $2.6 million; Wells Fargo Bank approving six loans for $1.6 million, JP Morgan Chase approving six loans for $911,700, and Santander Bank approving six loans for $777,000. 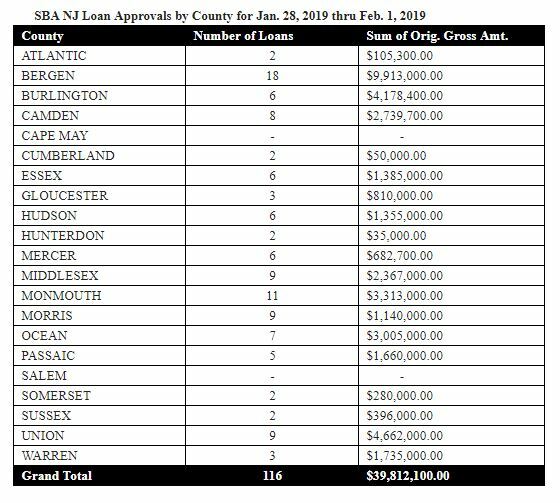 While 19 of the state’s 21 counties saw loan approvals Titone said, Bergen County saw the most with 18 for $10 million. “These 116 loans helped to create 304 new jobs and retain another 350 jobs,” Titone added.